This data set contains samples of the Gallica newspapers collection processed with OLR (optical layout recognition). This recognition leads to a detailed description of the contents of each issue (article, section, headings, captions, etc.) as well as the identification of advertisements and tables. This dataset contains the transcription by OCR and OLR of approximately 5,200 issues from Gallica's press collection. These samples cover issues published between 1910 and 1920. The ocr folder contains ALTO files (one file per scanned page), the toc folder contains the METS OLR logical structure of the issue. It is also possible to deduce this ARK identifier using the "Date" Gallica API (see below). This corpus is an extraction of the ongoing BnF newspapers digitization program. 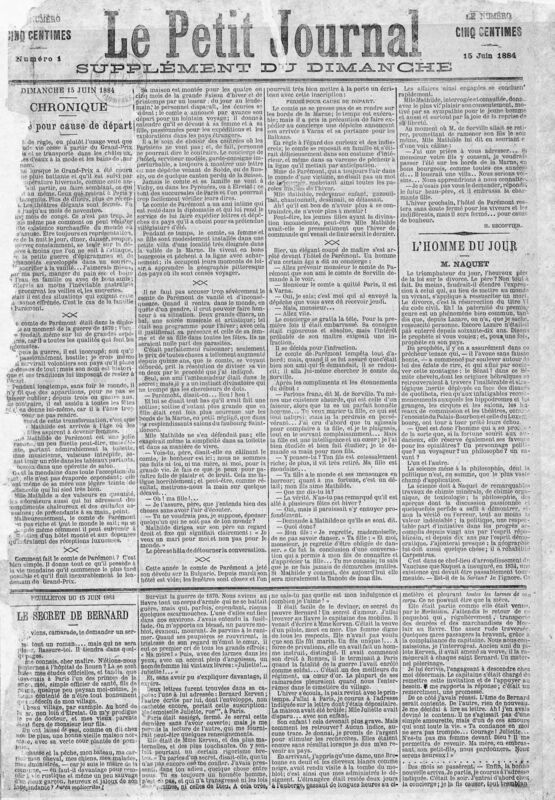 The "Date" Gallica API can be used display a newspaper issue in Gallica from its publication date. It operates with the catalogue record identifier of the newspaper title as input (the cb... identifiers described above) and a publication date (YYYMMDD format).